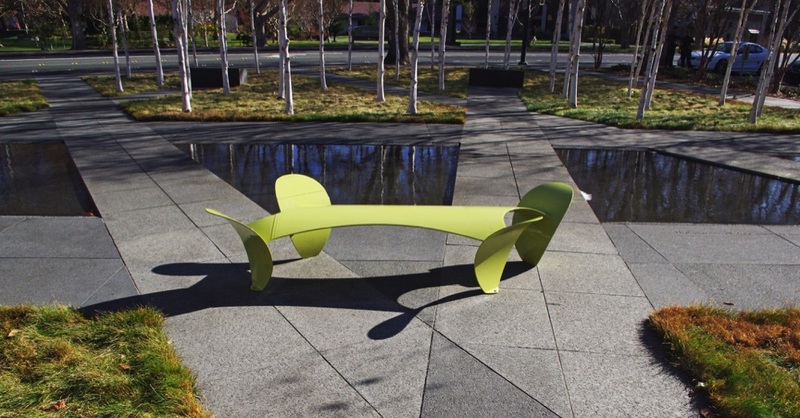 This artist initiated exhibition, in collaboration with the Bedford Gallery at the Lesher Center for the Arts and The City of Walnut Creek, California, featured five seats temporarily installed at various civic locations. Pictured are benches at the Lesher Center for the Performing Arts, Pubic Library, Veteran's Memorial Park and City Hall. The purple bench in the lobby of City Hall remains on long term loan.